Home > Posts tagged "workshop"
We are seeking a Pilates Instructor to teach private sessions and classes! 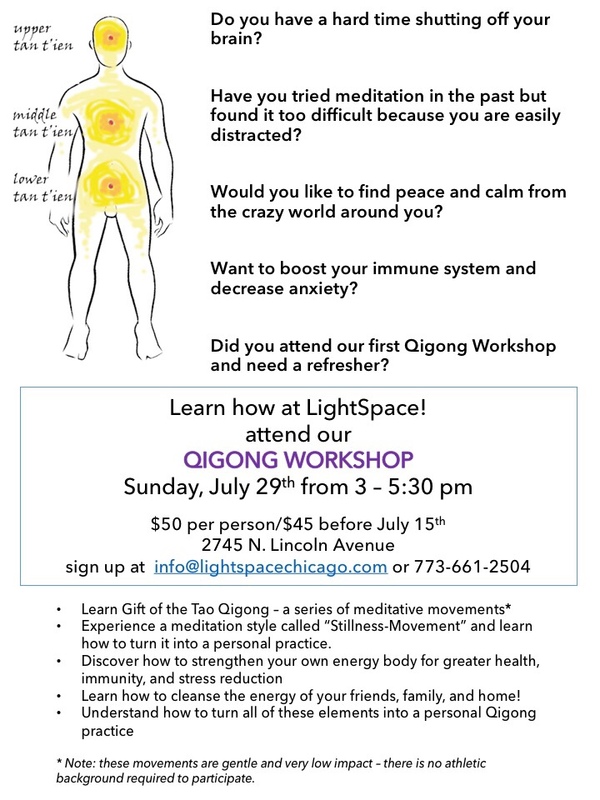 Next Qigong workshop Sunday July 29th! You might have noticed Allison, Annie, Beth, and Priscilla were out of the studio for a few days. Where were we….? At a Clinical Qigong and Stillness-Movement Seminar with Qigong Master and NQA Level IV Teacher Michael Lomax. A great review of our Qigong workshop! I attended the Introduction to Qi Gong Workshop at LightSpace Pilates & Wellness in March. The workshop was great, and it was just what I needed after a long week at work. The class was easy to follow and we were encouraged to ask questions. Allison and Annie are gifted teachers, they were attentive, warm and energizing.